Possessing a quicksilver virtuosity, arranger, composer, scholar, and guitar virtuoso Paulo Bellinati, indisputably one of the giants on his chosen instrument, established his reputation in the eighties displaying highly developed accompanying and soloing skills with the ensemble Pau Brasil. Catching the ear of producer Dean Kamei of Guitar Solo Publications, Bellinati joined the label’s all-star roster and has worked extensively making exquisite recordings across the spectrum of Brazilian genres, which spotlight his evident originality. His solo albums, starting with The Guitar Works of Garoto, a result of Bellinati’s research and transcription, received international critical acclaim and is acknowledged as a work of historic significance. Afro-Sambas with the divine Mônica Salmaso showcased Bellinati’s distinctive sensitivity as an accompanist and arranger and was, not surprisingly, a finalist for the 1997 Prêmio Sharp (Brazil’s equivalent of the Grammy). His latest DVD, Paulo Bellinati Plays Antonio Carlos Jobim, captures the atmosphere of a live performance with camera angles and close-ups putting the listener front row center. Although the late Jobim was principally a pianist, he played guitar as accompaniment on certain records and at some live performances, but never wrote specifically for the instrument. Bellinati embarked on this project with a list of thirty pieces that reveal Jobim’s musical idealism more than his concern for commercially viability. In lieu of bossa nova standards, Bellinati opted for the chamber music mien of Jobim’s work and his compositions for film. By choosing pieces with the orchestral palette of impressionistic composers like Debussy and Ravel, Bellinati realized a classical guitar recital with virtuosity as well as a variety of rhythms and styles. In a conversation, Bellinati told me that his researching original recordings was followed by intensive listenings in order to scrutinize orchestrations, harmonies, voicings, and style to assure that authentic performance practices would emanate clearly from his playing and arrangements. Narrowing the field, he selected and arranged the twelve pieces that lay most naturally on the guitar; the arrangements exemplify how Bellinati was able to masterfully deconstruct and in effect recompose the music of Jobim. Hewing closely to each tune’s original melodic and harmonic contours, yet with his unflagging inventive flow and empathy for shadings of timbre, texture, and dynamics, Bellinati gives each tune a first-time-through feel. The culminating effect is stunning. His rendering of “Gabriela,” a suite of six movements written originally in 1982 for the film based on Jorge Amado’s novel Gabriela, Clove and Cinnamon, reveals Bellinati’s usual impeccable control and good taste. Obviously concerned with the overall sound and shape, Bellinati links the movements as one continuous work. Both “Chora Coração” (Crying Heart) from the soundtrack for Paulo César Saraceni’s film of the same name, and “Por Toda a Minha Vida” (For All My Life) are subdued and introspective, especially affecting pieces whose haunting and pensive melodies Bellinati delivers with eloquence and commitment. Unmistakably influenced by French Impressionism, Jobim scored “Valsa do Porto das Caixas” (Waltz of the Port of Boxes) for piano, cello, and flute in 1962 for another Saraceni film. Looking for lilt and dynamics, Bellinati brings an elaboration of texture and expressive range to this ethereal material while the camera provides a glimpse from the players point of view. The samba “A Felicidade” (Happiness) from the Oscar winning film Orfeu do Carnaval (Black Orpheus), full of fervent musical excitement and barbed subtleties, remains continually fresh and engaging as Bellinati’s compressed force of expression rises to a whirlpool-like climax combining lyrical delivery with attacking conviction. Since its challenging melody taxes even the finest singers, the waltz “Luiza,” written for the soap opera Brilhante (Diamond), has been rarely recorded. Watching the vitality of the visuals as Bellinati executes effortless, lyrical, and poised lines through such terrain with an enviable assurance is a delight. 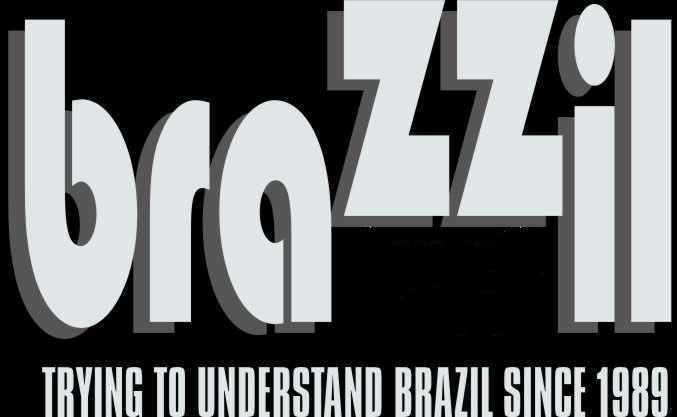 Appearing originally on the 1970 LP Stone Flower, it is one of the DVD’s most complex and fully-fleshed pieces, confirming Jobim’s reverence for the Brazilian choro tradition. The wonderful rhythmic insistence and Bellinati’s impossibly clean and daring execution affords an appreciation of this fabled, but neglected musician whose aura pervades the entire piece. On “Antigua” (Antique), the samba Claus Ogerman arranged for Jobim’s 1967 album Wave, Bellinati’s musical thinking is clearly orchestral. With the familiar sway and easy fluidity of a true Brazilian guitarist, at once alert and relaxed, Bellinati voices phases in a manner tailored to assist listeners’ sinking into the music’s fabric. “Amparo” (Protection) was originally written for solo piano, but recorded on Stone Flower with an orchestral arrangement by Eumir Deodato. Bellinati’s arrangement, an intensely personal vision for two guitars, full of shimmering activity and layer upon layer of counterpoint, is at times teeming with mournful agitation, at others, ghostly delicacy. The second guitar part, replete with distinctive emotional flavors, is played by Cristina Azuma, a musician whose dark, pleasing tone, is highlighted by her varied and nimble phrasing. Bellinati is, at heart, a romantic whose medium is a music that breathes deeply. As might be expected from a project advanced by a man equally at home in both the classical and jazz world, this DVD, with dual ideas of entertaining while instructing, is by no means conventional. It captures Jobim’s music with a sense of immediacy and derives strength from a variety of textures, subtle effects through nuance, and quiet shifts of mood. Making his guitar a veritable orchestra without sacrificing either rhythmic momentum or shifting textural densities, Bellinati demonstrates exactly why he is regarded as one of Brazil’s undisputed masters of classical guitar technique. His spine-tingling sensitivity draws delicate pictures of these pieces, their musical depths speaking as forcefully today as they did when Jobim wrote them. It is, however, the intimacy and embroidery of Bellinati’s arrangements that emerge as the project’s ultimate artistic seal. This truly inspired program displays not only an integrity of conception, but also a grace of execution that makes it impossible to remain impassive. Aficionados of the classical and Brazilian guitar should not overlook the way Paulo Bellinati Plays Antonio Carlos Jobim. Journalist, musician, and educator Bruce Gilman has served as music editor of Brazzil magazine, an international monthly publication based in Los Angeles, for close to a decade. During that time he has written scores of articles on the most influential Brazilian artists and genres, program notes for festivals in the United States and abroad, numerous CD liner notes, and an essay, “The Politics of Samba,” that appeared in the Georgetown Journal.